Get your true fragrance with this nuit dissey perfume from Issey Miyake for a pleasant aroma that is charismatic and modern. This fragrance has a magnetic, mysterious and vivid composition that evokes a dark night. It opens with accords of grapefruit and pink pepper. Leather and vanilla in the heart give an elegant touch to the composition. The bottle defines masculinity in an impressive form and adds to the ease of usage. With this perfume, all you will want to do is take the centre stage. A heady mix of pure fragrances will leave an everlasting impression in the most subtle manner. 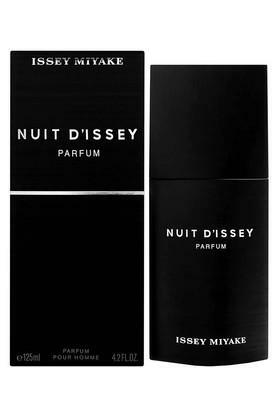 In 1994, Miyake expanded his fragrance line to Issey Miyake for men. 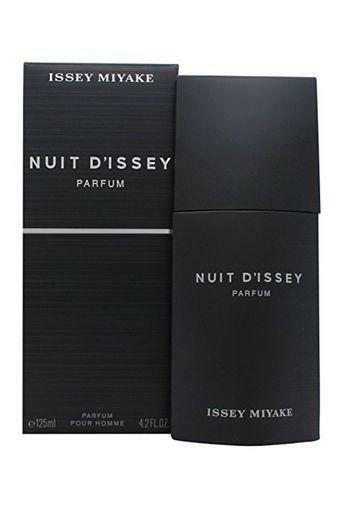 Issey Miyake cologne for men combines the same adventurous spirit that made Issey Miyake perfume popular around the world with darker, more masculine top notes for a unique sense experience. L�Eau D�Issey Pour Homme, Miyake�s flagship cologne for men, utilizes tobacco, nutmeg, and musk for a rich composition that made Issey Miyake cologne just as popular as his perfume. Issey Miyake men�s fragrance creation continues today with L�Eau D�Issey Pour Homme Summer 2014, a collection of tart grapefruit and kiwi with cypress base notes.